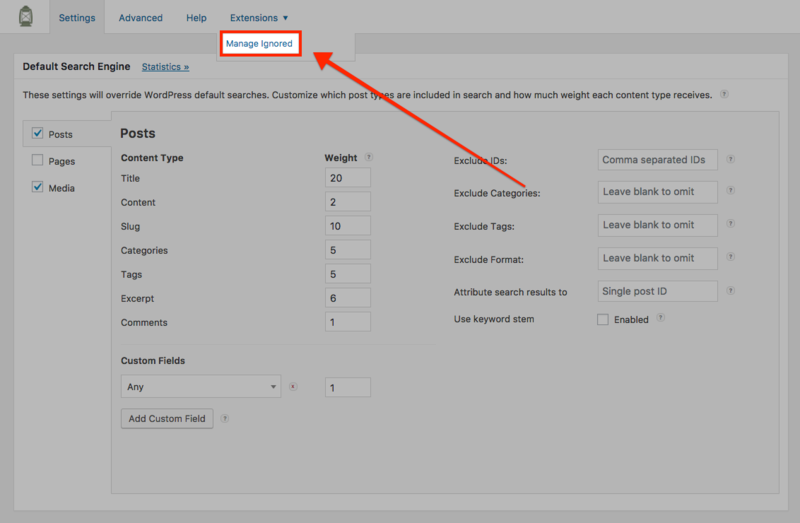 SearchWP allows you to ignore search queries when running statistics. This tool allows you to un-ignore them! You can use that screen to un-ignore ignored search queries.